Is a form of influenza which affects pigs, or a form of human influenza caused by a related virus. The 2009 swine flu outbreak appeared in the U.S and following reports across the world. The virus never went away and is still around and continues to circulate seasonally worldwide. 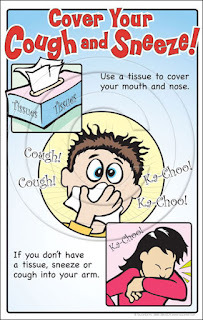 Cover your nose and mouth with a tissue when you cough or sneeze and throw the tissue away after use. (In case you don't have tissue, cough or sneeze into your arm). 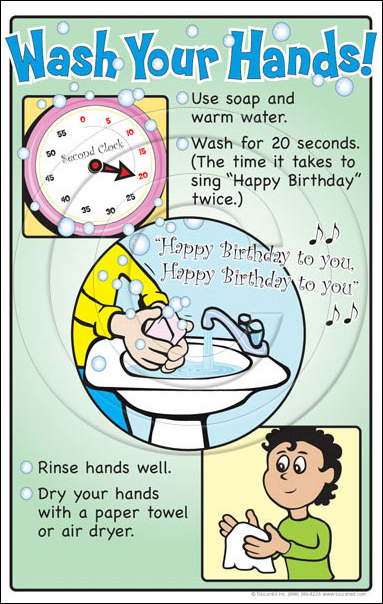 Wash your hands often with soap and water, especially after coughing or sneezing then rinse well. 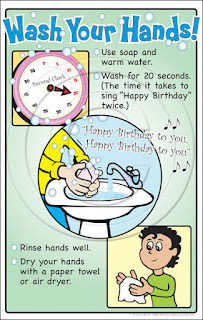 Dry your hands with a paper towel or air dryer. Alcohol based hand cleaners are recommended to use also. 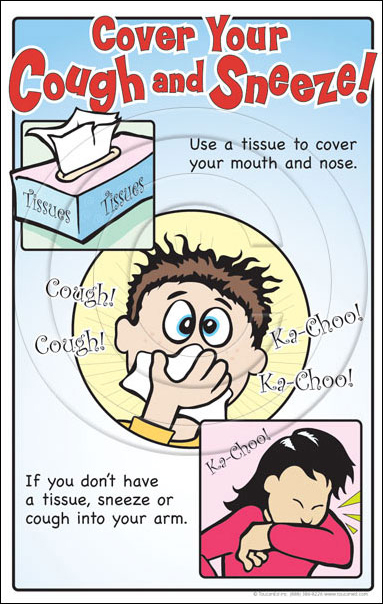 Avoid touching your eyes, nose or mouth so the Germs will not spread away. If you have flu symptoms, seek medical attention immediately. 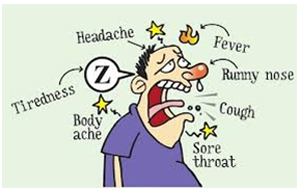 It is recommended to stay at home if you get sick and limit contact with others to keep from infecting them. Important step protecting against the flu is VACCINATION. "SAFETY is everyone's responsibility, so don't spread disease"